What drives a team of one? Few people have the will and the stamina needed to run across a continent or row across an ocean — and even fewer opt to do it alone and unsupported. What makes these endurance athletes different from others who pursue similar challenges as part of a team, or while competing against fellow athletes? Are they simply made of tougher stuff? Researchers followed a solo rower’s attempt to cross the Atlantic Ocean to learn how athletes are able to stay in the moment, thereby extending the knowledge of motivation. Across the spectrum of athletic pursuits, people have accomplished staggering feats solo. Alex Honnold was the first climber to “free solo” Yosemite’s 3,000-foot El Capitan wall — climbing without ropes or harnesses. When Jessica Watson was 16, she became the youngest person to sail around the world solo and nonstop. She wanted to challenge people’s expectations of what young girls could do. Diana Nyad was the first person to swim from Cuba to Florida without a shark cage — on her fifth attempt, at age 64. In August, Bryce Carlson broke the world record for the fastest west-to-east unsupported row across the North Atlantic Ocean. The previous record belonged to a boat of four people. Carlson set off solo from Newfoundland in a custom-made boat and landed at the U.K.’s Isles of Scilly a little more than 38 days later. He’s the first American to row this route solo and unsupported. Endurance sports are not new to Carlson, who rowed at the University of Michigan, ran ultramarathons and then ran across the U.S., from California to Maryland, with 11 other runners. On that run, Carlson always had other runners and support staff around. 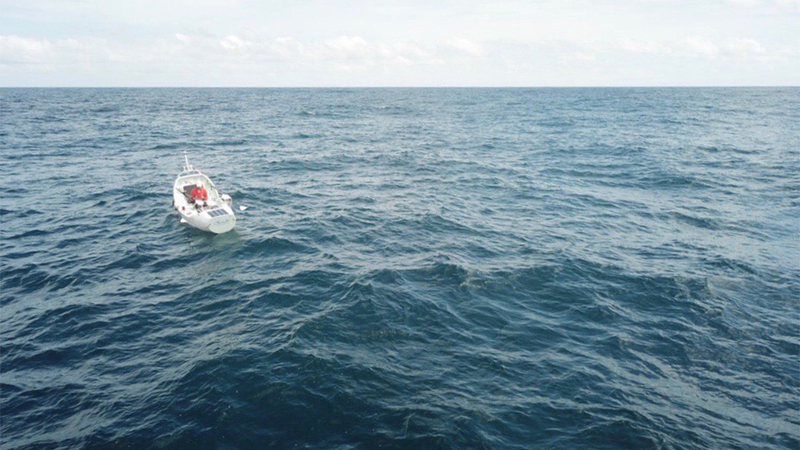 Carlson’s boat capsized about a dozen times, and he got caught in bad weather and currents that took him in the wrong direction. He learned “to remain patient with things I couldn’t change, and to remain focused on things I had control over,” he said. He was able to avoid getting upset, which he attributes to a decade of ultra running. Kevin Alschuler, Ph.D., is a psychologist at the University of Washington School of Medicine who led the psychology portion of a study that followed Carlson’s team’s run across the U.S., and he also gathered data from Carlson on his row. He had Carlson complete a daily questionnaire while on the Atlantic, along with a brief diary response asking him to describe the biggest challenge he faced that day and how he responded to it. The 15 questions asked about effort, physical symptoms (pain, fatigue) and psychological variables (confidence, anxiety, frustration). 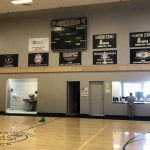 Alschuler and his team followed along in real time. Carlson said staying in the moment and getting the most out of that moment had been a big challenge. On some days, he was less focused and more easily distracted. 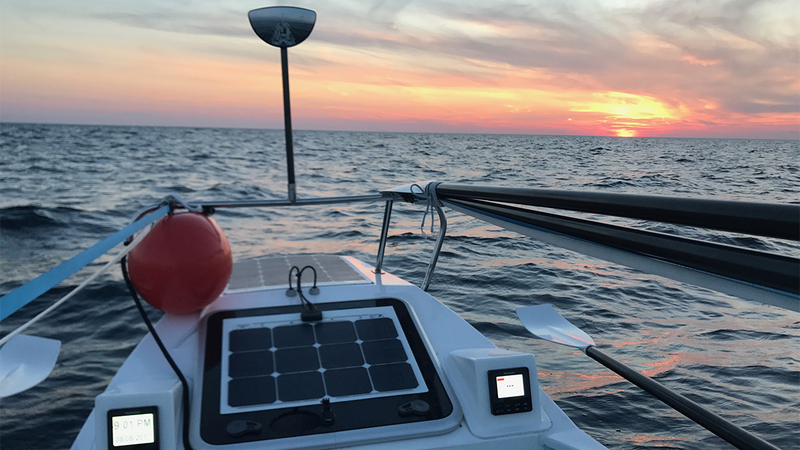 The Ocean Rowing Society keeps records of ocean crossings, and it has documented nearly 500 successful attempts and more than 250 unsuccessful ones. Coordinator Tatiana Rezvaya-Crutchlow said many rowers quit on the first day, when they lose sight of the land, and “you have 360 degrees of just horizon.” Some people celebrate their “freedom at last,” but for others, fear sets in. “It’s willpower over willpower,” she said. 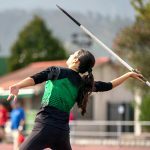 From a sport psychology standpoint, goal-setting is important, said Kristin Hoffner, principal lecturer in Arizona State’s College of Health Solutions. Goals need to be attainable and achievable — but that’s a matter of perspective, she said. If someone thinks they can achieve a goal, “that can be a very motivating thing for them, whether you think — from an outside perspective — it’s attainable or not.” Along with this intrinsic motivation and desire for a challenge, some athletes who pursue these grand achievements may be adrenaline junkies who “have an intrinsic drive to experience this rush” that they can’t get with everyday athletic activities, she said. Jessica Goldman is a massage therapist and an ultra runner who ran from San Francisco’s City Hall to New York City’s City Hall in 2014, solo and unsupported. She is reportedly only the second woman to have done so. 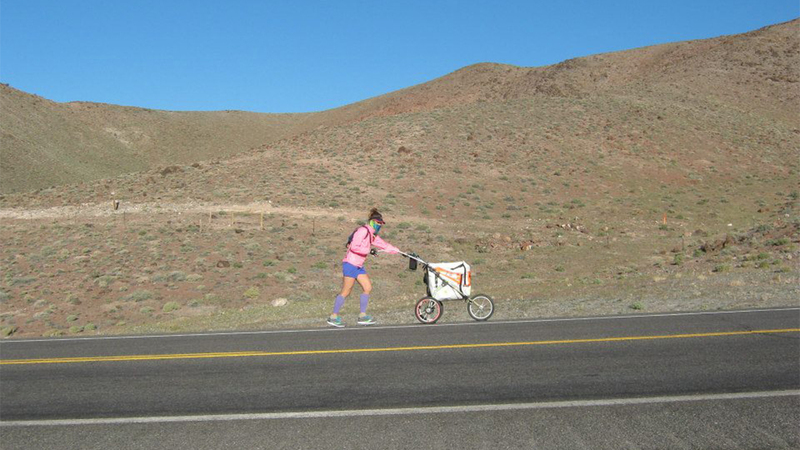 She ran with a cart made from a retrofitted stroller, but no support. She used the run to raise money for the Brain Injury Association of America. 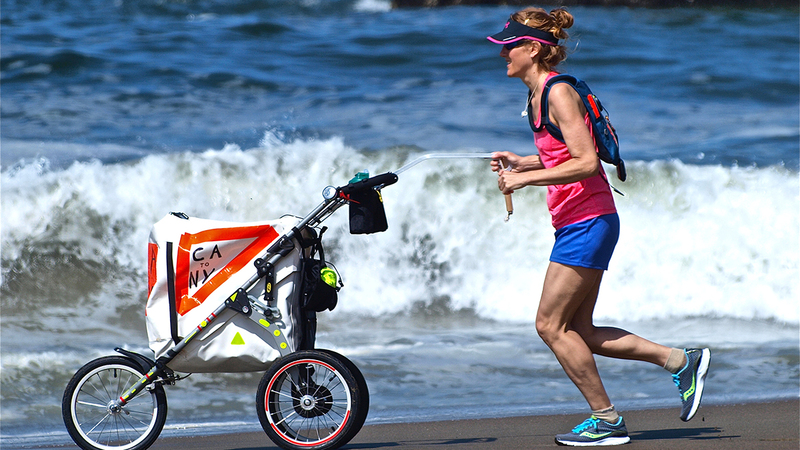 Before her 91-day run, Goldman had completed two long, solo bike rides, as well as ultra races. Like Carlson, she relished the challenge of a long, solo, unsupported feat after running ultras. “I’m always curious to find my boundaries and limits, and it’s meditative to a degree. 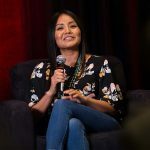 You feel more alive out in the elements—it’s about surviving, pushing yourself and seeing what you can accomplish,” she said. Goldman had to contend with some significant challenges, beyond the distance she covered every day — sometimes as much as 55 miles — and the question of where to sleep each night. In the beginning of her journey, she set up her route on a GPS device, and a couple of days in, a dust devil struck, snatching the device and launching it somewhere she couldn’t find it. She used paper maps and Google to navigate after that. She did have a live tracking device on her, so brain injury survivors who were following her progress often came out to meet her and offer her a place to sleep. Otherwise, she would camp or find a hotel.